Plus Size Kitten: Nando's Card Don't forget to get one! 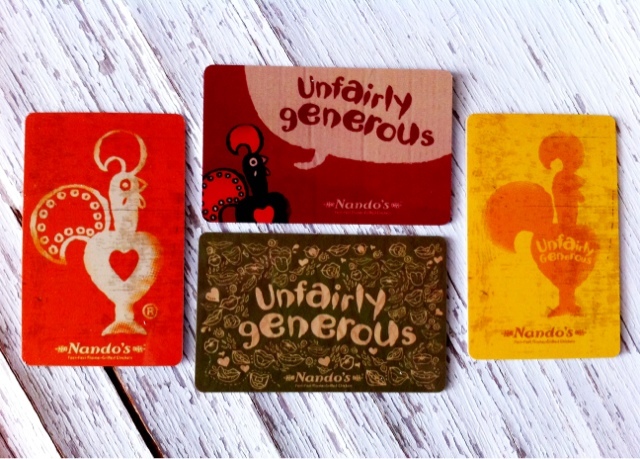 which Nando's Card design do you like? A small fee for a lifetime of membership? and you get a free peri meal on a special date, birthday freebies and a welcome drink is worth more than RM10 already ( I hope this is going to be a long term program and not suddenly drop off after a few years). 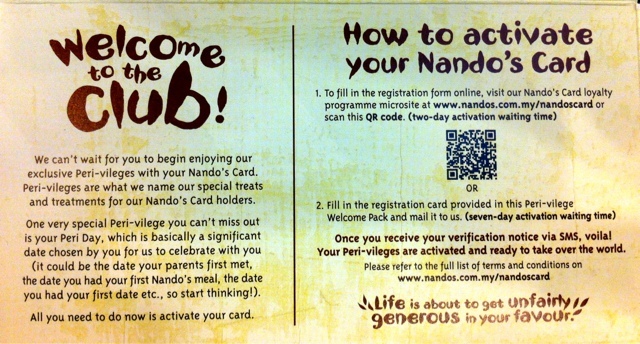 You get a free welcome drink voucher upon purchasing the RM10 Nando's Card kit. You get a free dessert and hot drink on your birthday! This means on your anniversary of being a Nando's Card member, u get to have 2 sets of any chicken meal for the price of 1! 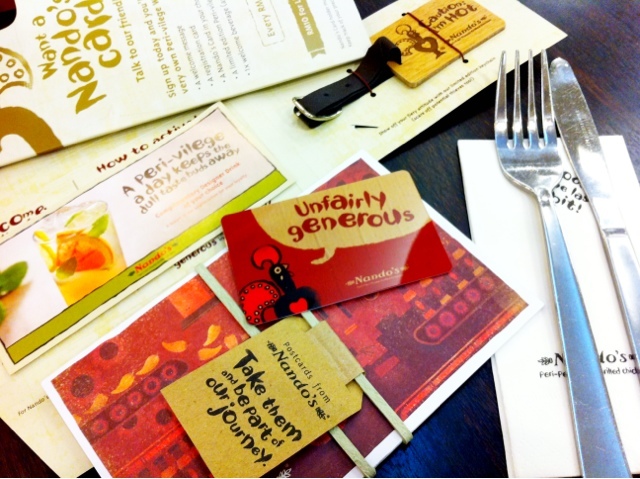 As a member, you get to be invited for food tasting or Nando's goodies from time to time. 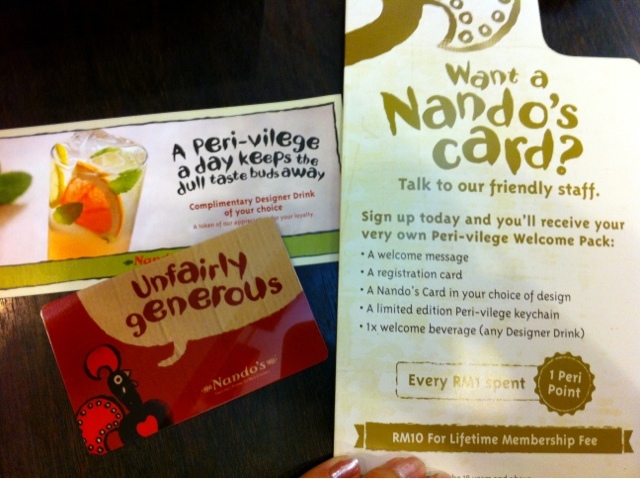 Free along with your RM10 Nando's Card kit. For every RM1 spent = 1 point (dine-in/delivery*). Collect up to 800points to redeem for chicken meals! 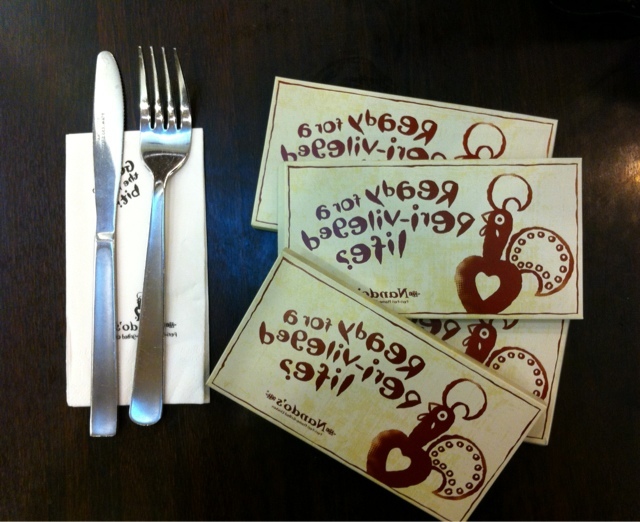 Check out Nando's Card website to find out what u can redeem. There's 4 designs to choose from! Whichever that suits your personality the best. I choose the one with green patterns on it and words "Unfairly Generous". 10. Show You're a Nando's Fan! I'm basically a fool for any membership program/card with my favorite shops/brands. Having one makes me feel special! Call me crazy. For more information on the Nando's Card you can click here to see what's in store at the Nando's Card member page. The registration is very easy, just fill up your personal details and an email will be sent to you confirming your registration and that it will be completed within 2 working days before any point collection can take place. 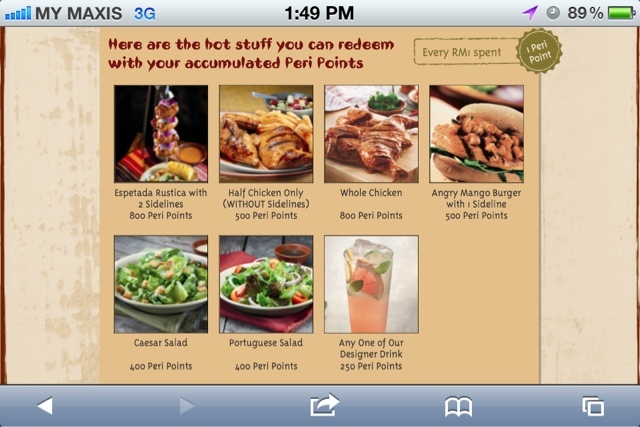 Nando's Peri Points to redeem more chicken! hah :( takde Nandos kat Sabah punya? Wah! Would love to own one! 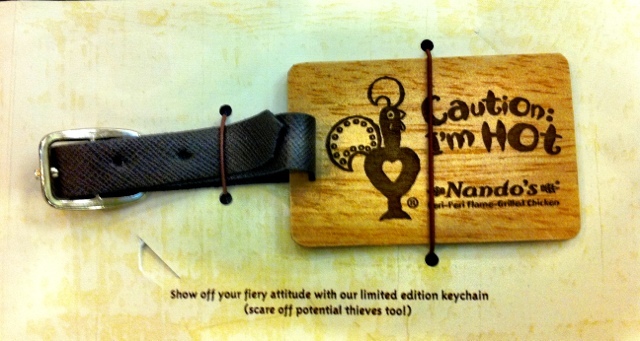 i own 4.. ahem if Chicken permits..
Big fan of Nando's here, must get this! 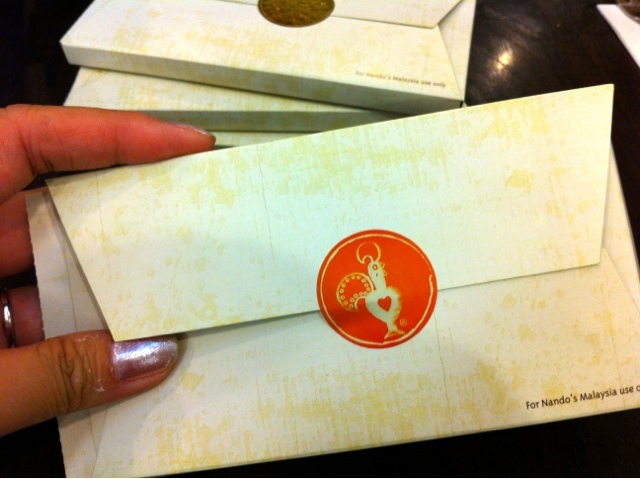 I know....drools....but pocket holes is getting bigger...nandos! Don't do awayyy!